This was delicious! 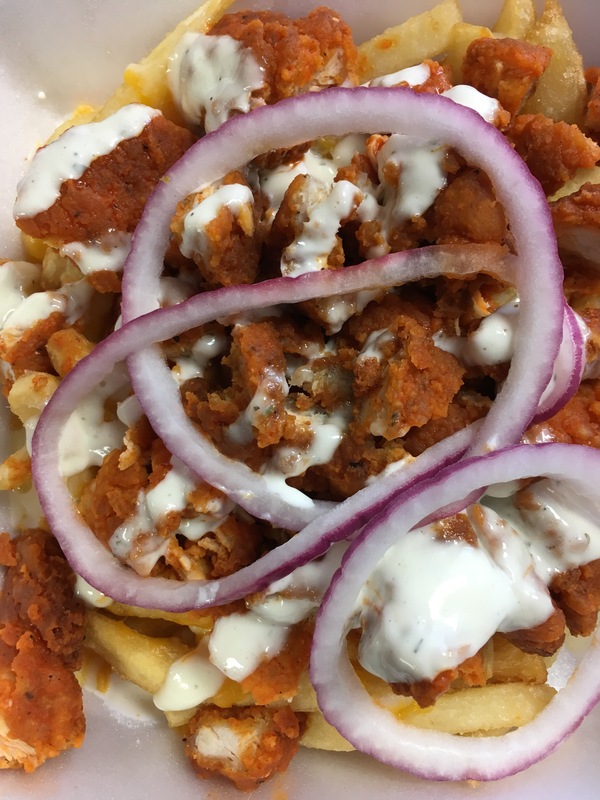 I must say that this is basically buffalo chicken strips (chopped up) on a bed of cheese fries, BUT….it is a genius combination. The portion size is also massive. However, I was able to finish it by myself 😉 LOL. If you would like a comparison, Farmer Boy’s comes to mind. I didn’t try anything else on the menu, but I was still able to stuff my face. Yellow Basket is a chain, but I believe it is only out here in SoCal. So, if you ever find your way out here and are on your way to San Diego, you might want to drop by this spot.